In this memo, we explore the use of and experiences with psychotropic medications over time for California foster youth transitioning to adulthood. We also examine how psychotropic drug use differs for youth who have different types of behavioral health problems. This memo draws on information collected from the 611 youth who completed both the first and second interview waves of the CalYOUTH Study. Most respondents were 17 years old during the baseline interview conducted in 2013 and 19 years old during the follow-up interview conducted in 2015. We consider seven behavioral health problems that were assessed with a brief structured screening tool during both interview waves: major depressive episode, manic or hypomanic episode, social phobia, posttraumatic stress disorder, psychotic thinking, alcohol use and substance use problems. Respondents were also asked if they had received medications for their emotions in the past year and about their perceptions of their psychotropic medication use. At age 17, nearly half of the participants screened positive for a mental health or alcohol/substance use problem (48%) and over one-quarter took medications for their emotions in the past year (27%). At age 17, the most prevalent behavioral health disorders were depression and nonalcohol drug use problems. When looking at prevalence rates by subgroups (gender, race/ethnicity, and sexual orientation), sexual minority youths were more likely than their sexual majority counterparts to have behavioral health problems, to use psychotropic medications, and to receive psychological or emotional counseling. Among all respondents, the prevalence rates of behavioral health problems, psychotropic medication use, and receipt of psychological or emotional counseling declined from age 17 to age 19. Among youths with a behavioral health problem, the rate of medication use also declined significantly from age 17 to age 19. Our findings suggest that most youths had favorable or neutral views about the effects of their psychotropic medications. Those views did not change significantly over time. However, a nontrivial minority of participants at each interview wave expressed negative views or experiences—they felt that their medication did not improve their mood or their interactions with others, they experienced negative side effects, or they did not perceive that the positive aspects of their medication outweighed the negative aspects. The high rates of psychotropic medication use among older adolescents in foster care call for attention from social workers, clinicians, and caregivers. One promising finding is that counseling services for emotional and psychological problems were used by more youth than were psychotropic medications. Professionals in the child welfare and mental health fields need to be prepared to engage foster youth in conversations that will increase youth’s competency and comfort with making decisions about addressing their behavioral health issues. Decreases in medication use between ages 17 and 19 among youth with behavioral health problems could be explained by a confluence of structural barriers, changes in living context, and changes in personal preferences. 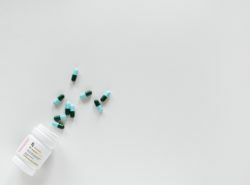 It is important to consider youths’ negative reports about their medication experiences because this could signal an issue with their current prescriptions or a need for a different or an additional treatment approach. From a consumer’s perspective, since these young people exercise a greater degree of autonomy and discretion in their use of psychotropic medications than younger children do, information collected about their experiences accessing and navigating services, their interactions with prescribers, and their views about medication benefits are important indicators of treatment satisfaction and service performance. These data may be particularly important for young people living in placements where there is less oversight and support and where the responsibility falls on them for obtaining and using psychotropic medications.